Applied Materials (AMAT) is scheduled to report its earnings for the third quarter of 2018 on Thursday after the market close. The market is expecting the semiconductor manufacturing equipment supplier to post an upbeat top and bottom line results. Investors will be looking out for the company’s venture into the artificial intelligence era. 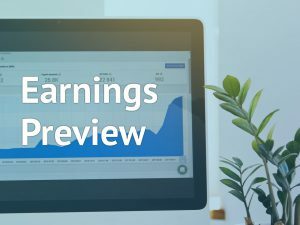 Analysts, on average, expect earnings of $1.17 per share for the third quarter compared to the reported profit of $0.86 per share in the previous year quarter. Net sales are predicted to rise by 18.30% year-over-year to $4.43 billion. On the recommendation front, all of the analysts are suggesting a “strong buy” or “buy” rating on the stock with an average price target of $66.13. In the previous second quarter, the company’s bottom line climbed by 37% on double-digit growth across its segments and geographies, especially Japan, Korea and China. The company had projected sales in the range of $4.33 billion to $4.53 billion and adjusted EPS of $1.13 to $1.21 for the third quarter. Market experts predict the company to achieve steady growth momentum in the high growth market in China and Korea for the third quarter. Also, for the third quarter, Japan and Europe are likely to post double-digit growth in revenue, while analysts see a disappointing performance, similar to the second quarter, from the United States. During July-end, the company received a contract from the Defense Advanced Research Projects Agency (DARPA) to develop a new type of electronic switch for artificial intelligence that mimics the way the human brain works to enable dramatic improvements in performance and power efficiency. Through the contract, Applied Materials is making itself more established in the artificial intelligence area. For the next year, analysts expect Applied Materials to be positively impacted by the artificial intelligence breakthrough. Shares of Applied Materials has opened lower on Wednesday and remained grounded ahead of the results. The stock has fallen more than 7% for the year-to-date and more than 14% for the past three months, while it has risen more than 8% for the past year.